Even the most accomplished cooks sometimes have disasters in the kitchen. Sometimes it’s because you’re having an off day and forget to do something, sometimes it’s because you’re not used to your new oven/pans/hob etc. It’s happened to the best of us but it’s not always a total disaster. Some things can be rescued, you’ve just got to have a few tricks up your sleeve. Thankfully this is one of the easiest things to rectify. 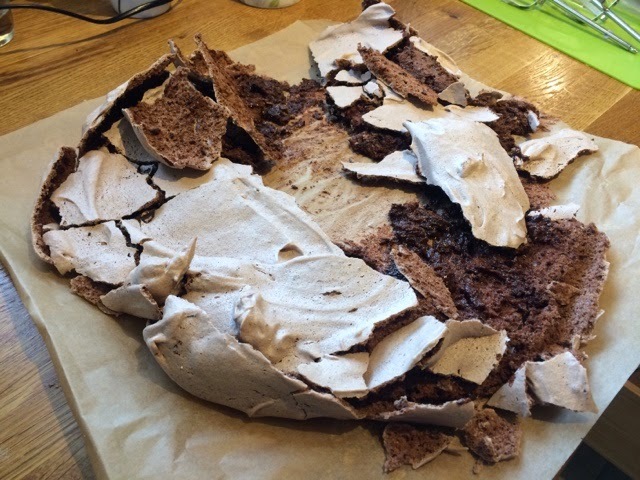 You were planning on making a delicious pavlova topped with lashings of whipped cream and piles of juicy fruit? 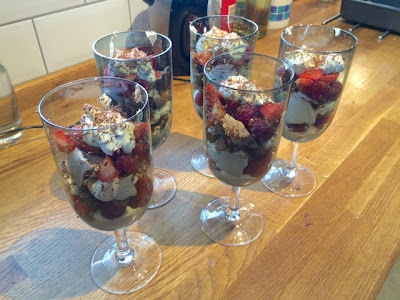 Well, since the meringue has fallen to pieces mix everything up together and turn it into an ‘Eton Mess’… essentially the same thing but all jumbled up together. You can simply do this in bowls but aesthetically it works really nicely in some tall glasses, if you have glasses large enough. Simply whip up your cream, as you were going to anyway, and layer into your bowl/glass with the fruit and crumbled up meringue pieces. Top with some grated chocolate and it’s as if nothing ever went wrong. Your dinner guests will be delighted with their pretty desserts and no one ever needs to know!